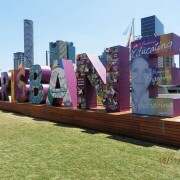 In 2014 Brisbane was the proud host of the G20 World Leader’s Summit. 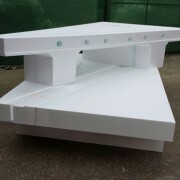 Polystyrene Products was approached with a unique commission request. 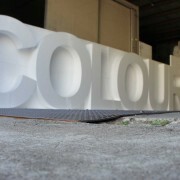 A large “Brisbane” sign needed to be constructed to specific measurements and weights. We are no strangers to unique custom commissions, and we relished the opportunity to be of service to our beautiful city on such a momentous international occasion. A few months ago Polystyrene Products was approached by a client who needed us to create a niche product for them – something that could join two large waste water pipes together, sort of like a manhole pit. We were tasked with supplying our client with a “void area” to help reduce the amount of weight in a multi-level concrete pour. 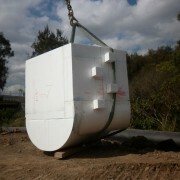 A very large rainwater collection tank was then to be placed inside. 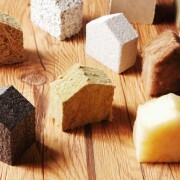 Polystryene, Stryene, Stryfoam and Polyurethane – What Exactly Is the Difference? We know that these different types of plastics can be tongue twisters to pronounce at the best of times, let alone knowingly exactly just what the difference between each of them is. At Polystyrene Products, we’re passionate about our plastic and we know our foam. Let’s go through them all and explain the difference and benefits of each product.